Marketed as the answer to a carb-fearing pasta lover, ‘SlimPasta’ is a relatively new product on the shelves of Australian supermarkets. Boasting as little as 8 calories per serve – as well as no fat, no gluten, and a huge serving of fibre – it seems this vegetable based pasta alternative is too good to be true. So being the natural sceptic that I am, particular in regard to ‘diet’ foods, I went in search of the hard facts. 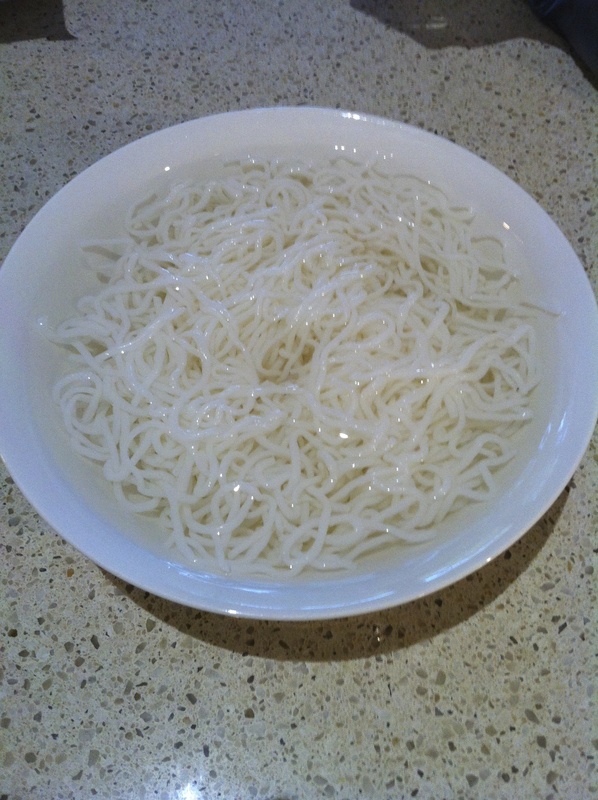 SlimPasta is made from konjac, a plant native to Asian countries such as Japan and China, and by no means a new discovery: the plant has been used for many years as both a jelly-textured food and as noodles known as shirataki. In fact, it was somewhat refreshing to find that the ingredient list in SlimPasta is short and easy to understand, containing only purified water, konjac flour and calcium hydroxide (a stabiliser, used to prevent the pasta from falling apart). 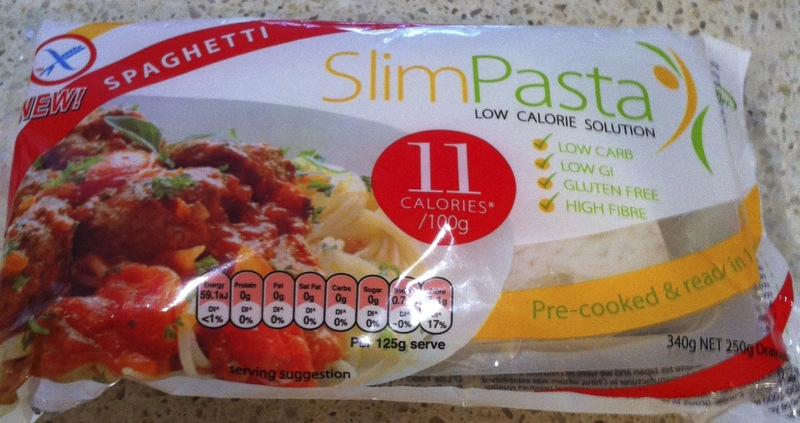 What’s more, SlimPasta really does live up to its nutritional claims. 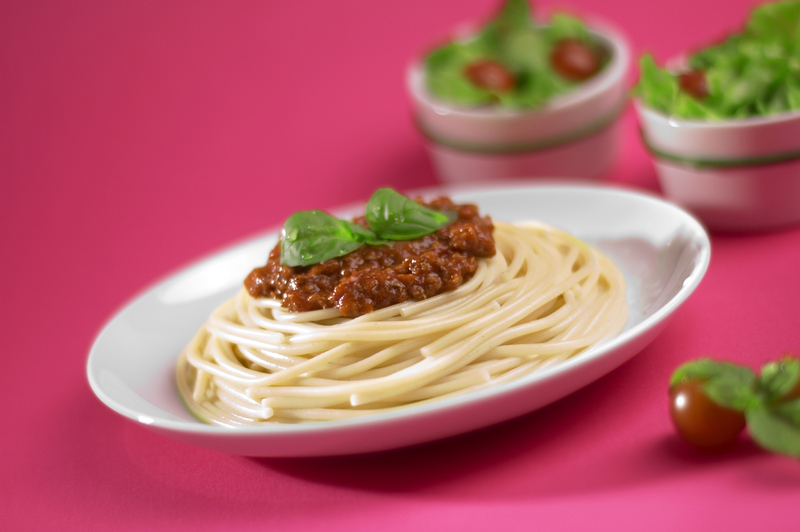 One serve of SlimPasta’s angel hair contains only 8 calories (33.7 kilojoules), whereas a serve of conventional wheat pasta, which contains around 454 calories (1898 kilojoules) per serve. Aside from all the other things it doesn’t have – fat, sugar, sodium, and potential allergens such as gluten, dairy and eggs – SlimPasta is also extremely fibre rich, containing the soluble fibre glucomannan. Shown in dietary interventions to reduce cholesterol levels without any significant risk to health, glucomannan has the added benefit of increasing satiety levels, that feeling of fullness after eating, as it expands in the stomach and forms a viscous texture. Another benefit of the product is its convenience. SlimPasta is easy to store, requires no refrigeration, and can be safely kept for 12 months. Cooking is as easy as draining the liquid from the packet and covering the pasta with hot water for a minute, as it is pre-cooked and only really needs to be reheated. Just when you thought pasta couldn’t get any easier! Now with all that good, surely there has to be some bad. Sensory evaluation aside, my main reservation with SlimPasta is the idea it may encourage the notion that eating pasta (and in turn carbohydrates) is ‘bad’. That is certainly not the case, and even those wanting to lose weight can enjoy pasta in moderation. In fact, often the real diet-breaker when it comes to pasta may be the sauce with which it’s served, particularly those full of cream, cheese and bacon. After trying SlimPasta for myself, I tend to agree with nutritionist Catherine Saxelby’s well-considered assessment: it may be a handy product if you’re on an extremely low-carbohydrate diet, but if you’re a pasta lover it’s unlikely that you’ll find SlimPasta a satisfying substitute. I really wanted to like this product, but something about the fibrous texture just didn’t work for me. 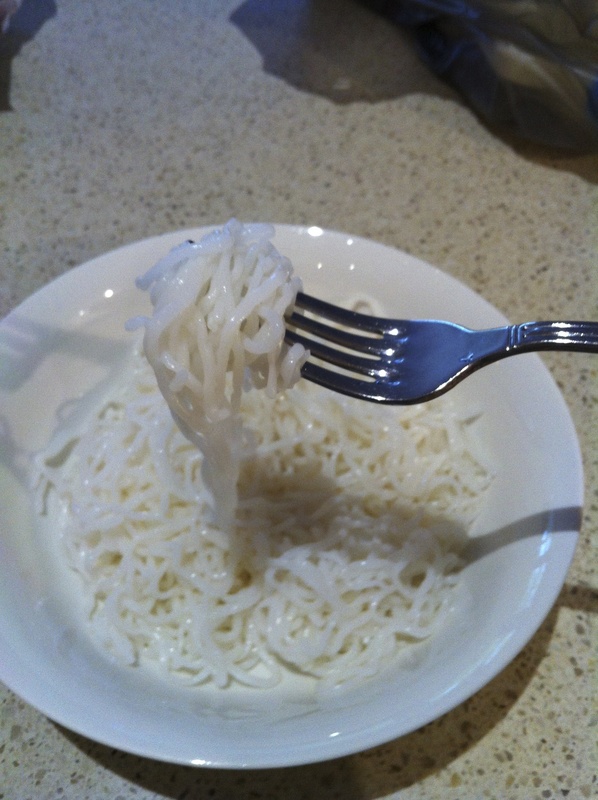 The closest thing I can think to compare it with rice noodles, or the similar cellophane noodles, common in Asian cooking. For this reason, I think SlimPasta might work best in something like an Asian salad, rather than with Italian pasta sauce. So all in all, an interesting product, and definitely worth a try if you’re curious about low-calorie alternatives. For myself, however, I’ll be sticking to regular pasta for now! I’ve tried a number of different SlendierSlim products and have to say I found them to be really satisfying. It’s all in how you prepare the sauce, the tastier the sauce the more delicious the meal. It’s guilt free eating at its best. Hmmm my previous response changed my name & gave me a new website. Weird. But cool!